Virginia’s New River Valley experiences each season in a beautifully striking, yet mild manner. Fiery leaves engulf the trees of the New River Valley each fall until winter comes crisp and fleetingly. Spring returns and the mountains burst to life to welcome in the summer, which settles in and pulls you out of the house for endless adventure. 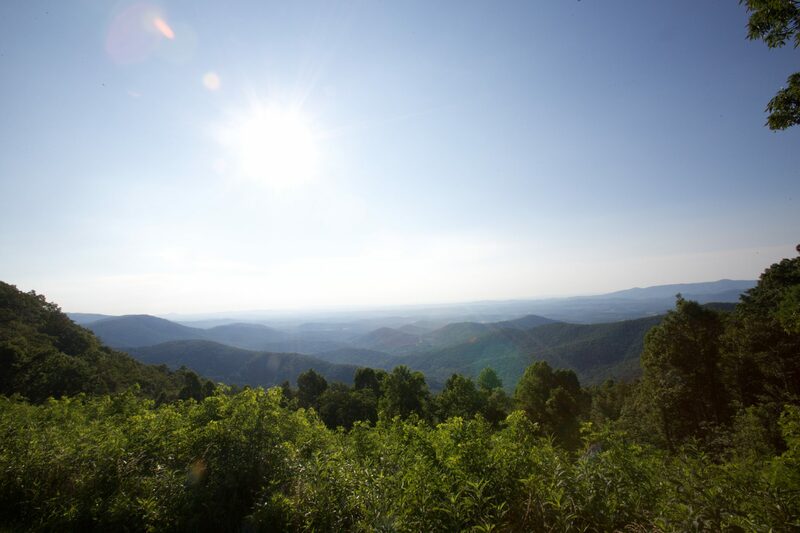 The range of elevation in the NRV makes nights atop mountains sometimes 10 degrees cooler than in the valley below. If you’re hiking to the top of Bald Knob or Buffalo Mountain, be prepared for chillier temperatures. Click chart to enlarge. Data from 2016. For more specific information visit Weather Underground.